A faster and predictable way to lose weight through the Women’s weight loss program. Welcome! The YUL Fitness approach is to integrate your fitness into your lifestyle. You will become slimmer, stronger, and better developed every week, and it will not be to the detriment of enjoying life. It is a wonderful thing and you will fall in love with the process. What is the Women’s Weight Loss Program? With us, we will give you all the tools you need to get to your desired body weight as quickly as possible. We teach you how to lose weight fast with well-planned exercise programs. We teach you how to properly perform our exercise programs to be sure you do not lose muscle during your weight loss. To be hungry all the time. Constantly fighting against the urge to rush on the food. This plan is designed to help you achieve your body fat goal quickly (and most importantly). Then you can focus on maintenance or muscle mass without getting fat. This program is unlike anything you’ve seen before, and will run FASTER and more efficiently than any program you’ve tried in the past. 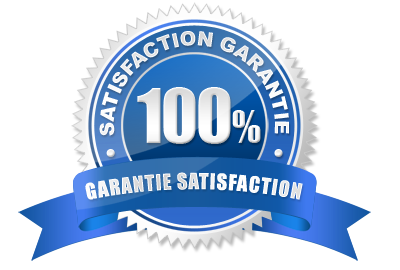 This is our guarantee here at YUL Fitness. How do you know if it really works? Now it will not be easy. Losing fat quickly is rare. It’s a strict approach and it will take some dedication. Sometimes you will probably feel hungry. This is normal. That said, we will use a strategy that will make fat loss more natural and easier than ever before. You will not have to cut carbohydrates or fats, which makes you feel dissatisfied, or eat small, frequent meals that always leave you hungry afterwards. More importantly, your life does not revolve around your diet. This will be the most enjoyable program you will follow for a long time. Once you have adopted the exercise strategy, the fat will begin to melt. From time to time you may experience hunger pangs at times, but these last only a few minutes. What we do is train your body to manage the state of burning fat without feeling on edge, depleted or hungry. You’ll feel like it’s what your body has always wanted. You will first discover how the “media” scare you and why it prevents you from losing weight. Lose body fat FASTER using exercises that nobody talks about. Reduces cravings for sweets and junk food while boosting mental clarity and concentration. Learn exactly how to exercise and have energy all day. Learn the best times to practice and how many exercises you really need. Learn why cardio is NOT the most important exercise to lose fat. Know how to adjust your exercises for maximum fat loss. Have you ever wanted to finally lose body fat? … just lose it once and for all? Maybe you have a special upcoming event (like a wedding), or maybe you just want to get slim and cut for the beach. The Women’s Weight Loss program teaches you how to lose fat quickly without burning yourself in the process. Most fast fat loss strategies have a CAPITAL DEFAULT. … We experimented with many different approaches and found the same problem: all were downright miserable. Of course, they work, but at the expense of your ability to enjoy life. Not to mention your hormonal levels and quality of sleep and then the workouts that start to suffer. Because most fat loss approaches tell you to cut carbohydrates or fats (sometimes both). While this helps to dramatically reduce calories, it does not address the importance of carbohydrates and fats for hormonal function. Whenever you restrict carbohydrates or fats, testosterone levels go down, cravings for sugars are increased, and mood, sleep, and performance go down. You can cancel the program at any time. 100% money back guarantee. I’m sure you’ll be blown away by the information and simplicity of this program. More than that though, when you start implementing it – if you follow the program as we described it – I know you will be shocked by the results. For this reason, we decided to let you “test” the Women’s Weight Loss program for a total of 30 days. If you are not completely satisfied with your results after the implementation of this program after 30 days, simply send us an email and we will refund each cent! A step-by-step workout program to maximize strength and muscle mass while maximizing weight loss. A new, more advanced exercise program every 4 weeks in your email box (it’s easy!). 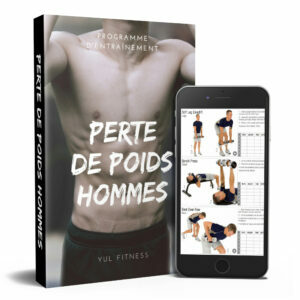 Easy to understand exercises available on your smartphone. A list of mandatory and optional equipment for your training. 10 YUL Fitness coaches to stay motivated. Be part of a group of inspiring and motivating people who encourages each other every day. YUL Fitness makes sure you get the list of equipment you need to maximize the effects of your weight loss program. The YUL Fitness community, its kinesiologists, and its personal trainers answer all the frequently asked questions since all these years on the loss of fat and the gains in muscular mass. It is the complete and detailed plan to aggressively lose body fat using a strategic approach to follow your exercises. Inside, you will find everything you need to implement the program: how the program works, how to integrate it strategically into your lifestyle, how to implement the whole plan … Nothing is forget it. This plan has been specifically designed to get you the fastest results possible and start losing body fat TODAY. A list of mandatory and optional equipment for training. 10 commanders of YUL Fitness coaches to stay motivated. Are you ready to join the Women’s Weight Loss program?